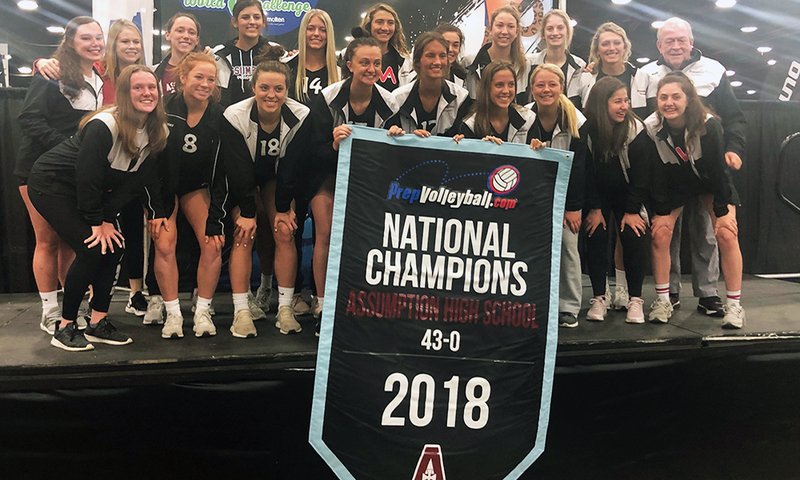 We were honored last weekend to present the 2018 PrepVolleyball.com national high school championship trophy and banner to Assumption High School of Louisville in its hometown at the JVA World Challenge. 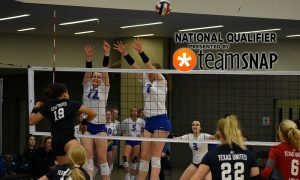 The Rockets last won PrepVolleyball.com national championship recognition in 2005. So do all the Assumption high school players play together on the same Kiva club team as well? If so, what if a player from another high school team wants to join that Kiva club team? How does that work? 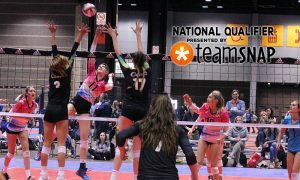 Most of the Assumption players play at KiVA in various age divisions because that is strong club in Louisville. 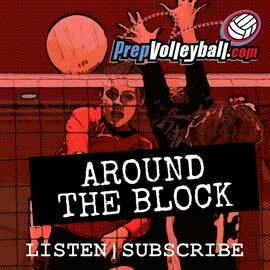 Look at any of the KiVA rosters and the high schools are listed – not all attend Assumption. 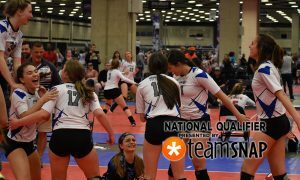 There is a rule in Ohio that you can only have 3 players from the same High School on the same JO team…. 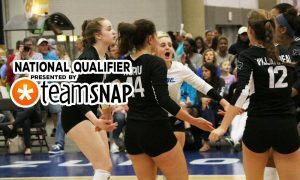 So players from perennial powerhouses like Ursuline Academy and Mount Notre Dame must split up between JO teams or Clubs. Not sure why Ohio has this rule.